← Grain Brain, by David Perlmutter, M.D. It is such a thrill for me to see readers from all over the world. 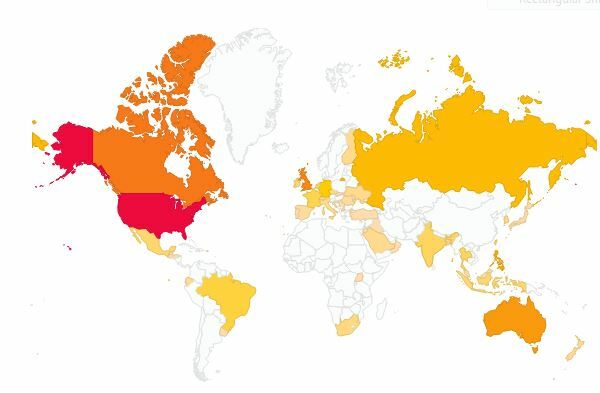 This is the map that shows where my blog’s readers are located, and most have clicked in many, many times. The 48 countries represented have all of the continents covered except for Antarctica, and I’m not too worried about that. To my regular readers in the Philippines—whoever you are— I will say that I was so relieved to see you log in just a couple of days after the typhoon! Glad that you are well. However, dear readers, I need your help. If we could fill in the map of Greenland, just think how much more complete this map would be! Greenland is the world’s largest island, an independent country within the kingdom of Denmark with a population of over 56,000—the least densely populated country in the world. Yes, of course, I looked it up on Wikipedia. I figure that some of you must know someone in Greenland. Now’s the time to give them a nudge. Go ahead! If you’re the one to get Greenland on the map, let us all know who you are! Bonus points for west Africa or Argentina. One of the biggest problems that my mother had when she was going through her months-long illness and recovery was depression. Since she was bedridden for most of the time, she could not participate in any of her usual habits. It turns out that my mom does not have any sedentary pursuits. She does not knit or do any needlework, despises crafts, does not enjoy reading or writing, and only watches television late at night before bed. She likes to shop, do yard work, clean house, and cook—all standing or moving hobbies. When she was sick, she lay in bed and stared at the walls. Hence the depression. Unlike my mother, I am ready for retirement, even though it is years away. Not only do I have lots of sedentary hobbies now, like reading, writing, and watching movies, but I would love to take up more if I had time. I used to do needlecrafts, and knitting seems like a satisfying and useful activity, not to mention that it combines well with watching movies. I love music and would enjoy learning an instrument. I have recently started to make my own greeting cards, which is very creative, but takes way more material than I had anticipated. Gardening and cooking are my two active interests, but you may notice that they both lead to eating. Hmm. My mother lost so much weight that her cardiologist, of all people, advised her to drink milkshakes at least once a day. I have never had a milkshake prescribed to me. I am studiously ignoring any connections here. My current favorite song is Switchfoot’s “Ba55.” It is on their new EP, Fading West, which I have not downloaded because I am waiting for the full album to be released in February. However, it is already available for listening on YouTube here, so I sit at my PC and listen to it over and over. It’s great for those times when you’re just so sick of yourself that you’re ready to run straight into the fire, arms outstretched, if only to see what’s left on the other side. Probably nothing worthwhile, which seems shameful, really, except that it would feel like such a relief to just get that right out there, to stop struggling and pretending. Hey, look! Nothing here. 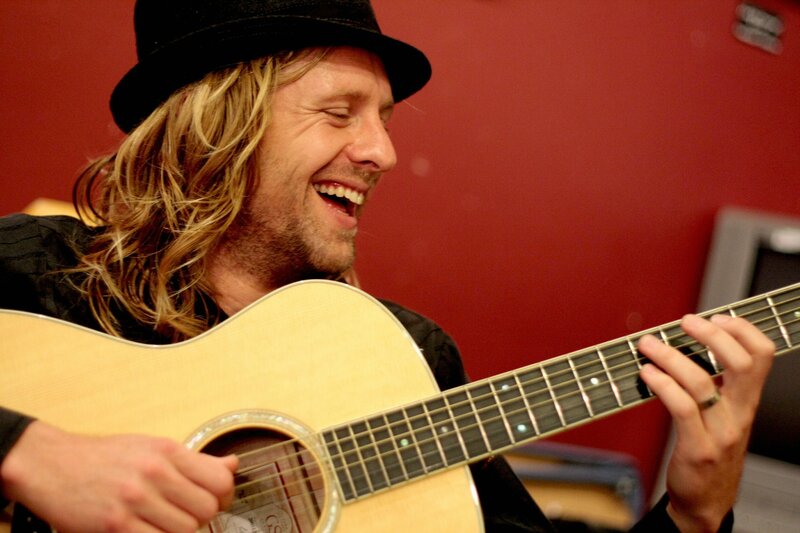 Jon Foreman makes such terrifyingly beautiful and honest art. How does one go about doing that? I suppose that playing it over and over in a loop proves that I have not matured at all since college. During my sophomore year in the French House—the dorm where the French majors lived—I played Billy Joel’s Stranger album and the soundtrack from the Rocky Horror Picture Show nonstop. This was back in the day when you had to manually pick up the vinyl album and flip it over to the other side. One afternoon, after many, many repetitions of The Stranger, the girl in the room next door knocked and asked me, in a long-suffering tone, “Could you please change the record? 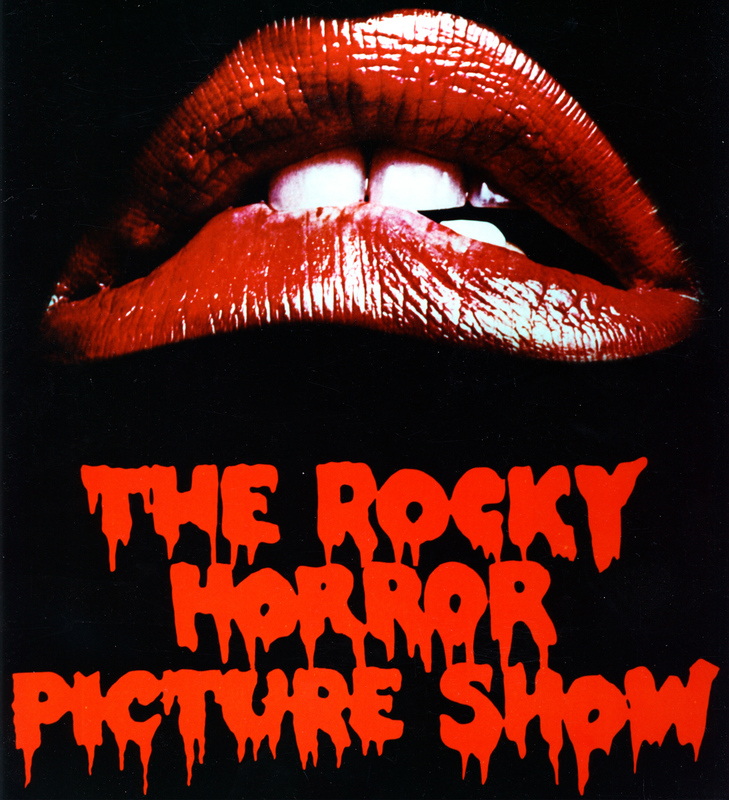 I mean, that’s a great album, but can’t you listen to something else?” So I switched to Rocky Horror. Now that I think about it, she was quite nervy to ask me that. After all, she was a first-year violin student and the walls were thin. It was like living beside a perpetual traffic accident. You know those lists of 100 books that everybody ought to read? They were tailor-made to send book nerds into panic attacks. “Oh, no! I haven’t read 8 out of the 100! 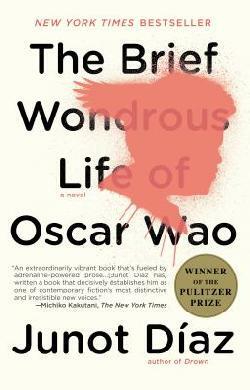 Let me take care of that right now!” Well, one of the lists that I looked at a few months ago contained the Pulitzer-Prize winning novel, The Brief, Wondrous Life of Oscar Wao, by Junot Díaz, which I had never read. Not all book awards are created equal. For example, I never thought I’d be able to navigate my way through the seemingly deliberate obfuscation of the Man Booker Prize winners until Hilary Mantel won twice, and I already loved her Wolf Hall novels. The Pulitzer Prize, however, was an old friend, because Annie Dillard’s A Pilgrim at Tinker Creek was such a revelation for me. Even though this woman was writing way above my head and I didn’t understand half of what she said, I didn’t know that anyone could write like that, and it changed the definition of nonfiction for me forever. So I grabbed a copy of Oscar Wao. Yow! I am not terribly squeamish about profanity—I mean, I read YA novels!—but this was in a league of its own. There was a lot of Spanish in it, and although I know some basic Spanish, I didn’t understand all of it. I was afraid to look up the confusing words and phrases online, though, since someone at the NSA might get the wrong impression and start paying close attention to me. Who knows what my file might look like? Now, I am sure that the Pulitzer Prize committee saw all sorts of brilliant and profound insights in this novel, but after about a third of the book, I reached a certain description of a woman, pulled my bookmark out of the book, and returned it to the library. The next time I see a list of required reading, I plan to check off Oscar Wao, though. Yep. Been there, done that, got the gist. I don’t need to be that well-read. Cheryl, I really enjoy reading your reviews! I’m an avid reader also. Also- chalk up another fan for Switchfoot!! Love it! Thanks, Debbie! Switchfoot has been a fave for over a decade now. They never disappoint. Got any friends in Greenland? Hey, I don’t see Iceland represented here! You know I have a special fondness. *gasp! * You’re right! Surely you made some friends there that you can contact to clear that right up! EatReadSleep · Of the making of books there is no end.